The TiGRT MLC is designed using advanced DSP and FPGA electronic design technologies and incorporates our user friendly TiGRT TPS software to provide the user with the ability to implement both Conformal Radiation Treatment (CRT), Intensity Modulated Radiation Treatment (IMRT) as well as Sliding ARC protocols, and works with TiGRT IVS to perform SRS and 4D tracking functions. All functions are available in one fully integrated treatment package! MLCs are easily integrated with existing linear accelerators and can be used for the majority of patient treatments. The multiple 1.6mm physical thickness leaves at isocenter give the MLC the ability to accurately and precisely treat small fields using either CRT or IMRT protocols. The MLC provides less than 2% inter-leaf leakage. 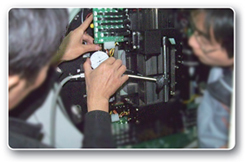 RVS provides automatic initialization at program start up and a self-calibration protocol. 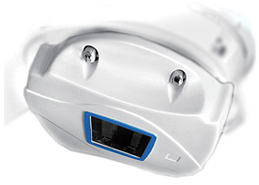 Remote diagnosis, redundancy design and maintenance functions offer a user-friendly system with low operating costs and enhanced reliability. TiGRT MLC provides the function of R&V (Recording and Verifying), doctor can record the treatment information, and then verify by comparing it with the information form MLC system, in order to double check and approve the radiation treatment. MLC will record the information from the Linac every second automatically when treating, and all the information will be saved in Server. Then the doctor can recheck and compare it after the treatment. When the approved treatment plan is downloaded to the Linac, the RVS (Recording and Verifying System) will firstly capture the screen information on Linac PC, and compare with the information in MLC system. If the information in two systems are not the same, doctor will recheck the information and approve and export the plan again. 6.After rechecking, the plan will be approved again in MLC system and sent to Linac system. 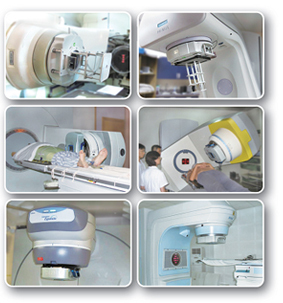 1.Record treatment data automatically from the Linac throughout the treatment session. 2.Capture, identify and verify treatment data on the Linac PC screen with that recorded in MLC system. 3.TiGRT RVS will record and verify. (1) Patient name and patient ID. (2) Gantry angle, collimator angel and turntable Angle. (3) Photon/Electron type, accessories information. Such as wedge, block, etc. (5) MU, dose rate, and energy.